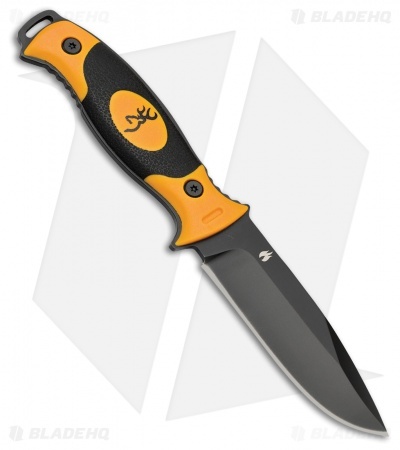 The orange Browning Ignite is a sturdy, lightweight hunting fixed blade knife. Full tang 5Cr15MoV stainless steel, drop point blade with black finish. Orange polymer handle with black rubber inserts and a lanyard hole. 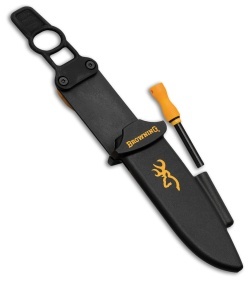 Includes black polymer belt sheath and firestarter.